It was a great Saturday morning for Ziplining, and while it was a rather hot day, temperatures were perfect under the canopy of WildPlay. 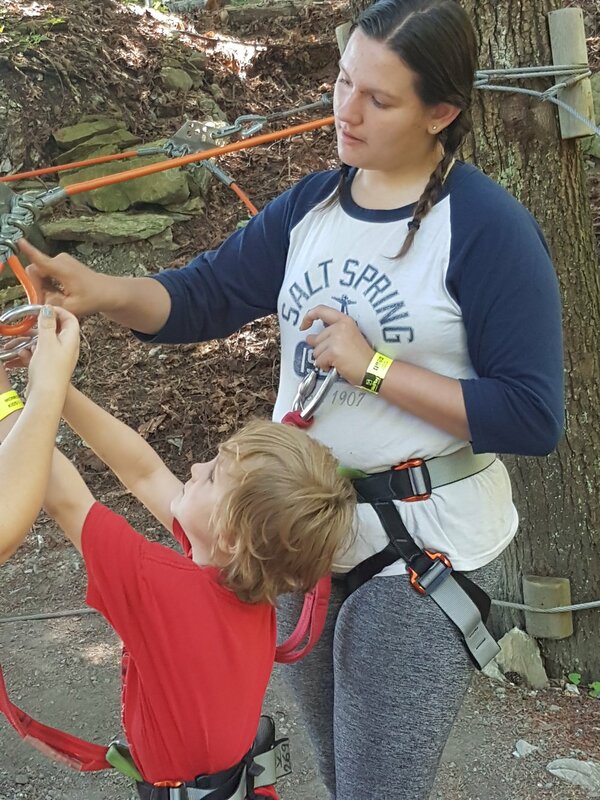 The courses were navigated by several pediatric oncology kids and their families having fun swinging and reaching their way through the forest. Thank you to Power to Be and WildPlay for an awesome afternoon! 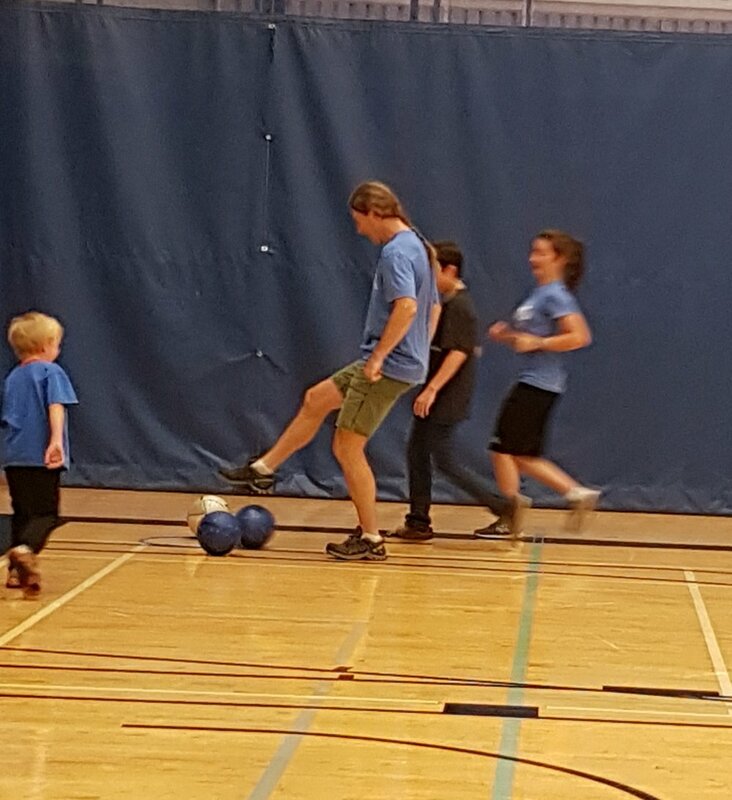 Camosun Gym was alive and sneakers squeaking with the many games and activities put on by PISE and leaders. Kids and some of the parents were lead through activities allowing for fun and fitness at the same time! We look forward to many more PISE and Island Kids Cancer Association sponsored events! This is an annual fundraising event where proceeds are directed to Neuroblastoma research through the BC Children’s Hospital Foundation. Island Kids Cancer Association had a display table at the event, raised awareness and supported a great cause. This was the biggest Touch A Truck to date, raising over $23,000! Congratulations to Team 4 Hope! It was an amazing, sunny Sunday afternoon at KIOWA Farms! From horseshoe throwing, chalk drawing, face painting to the main event horse riding, fun times were had by all! The miniature horses were adorable and loved by everyone. We look forward to this ongoing, wonderful partnership. Island Kids Cancer Association is so thankful of the Pediatric Oncology Nurses who work tirelessly supporting many kids with cancer in their clinic at Victoria General Hospital. While this is a difficult job, the care, compassion and dedication they show is truly remarkable and we are so pleased to show our appreciation to this amazing team. Charity and Sarah are two of our nurse clinicians accepting the gift basket on behalf of their clinic. This was an amazing high energy event with several pediatric oncology kids and their families participating. The end result was just over $25,000 raised for pediatric oncology causes locally, here in Victoria. One of the causes being Island Kids Cancer Association ! Congratulations to Mena Westhaver and her Sole Sisters Group! This is an amazing annual charity golf tournament put on by Saunders Family Foundation at the Cowichan Golf and Country Club. Island Kids Cancer Association was awarded $1,000.00 from the Chan Family Foundation through this awesome, collaborative event. Thank you to Saunders Family Foundation and the Chan Family Foundation! It was a great day for pizza and pins this past Sunday March 11 at Langford Lanes. 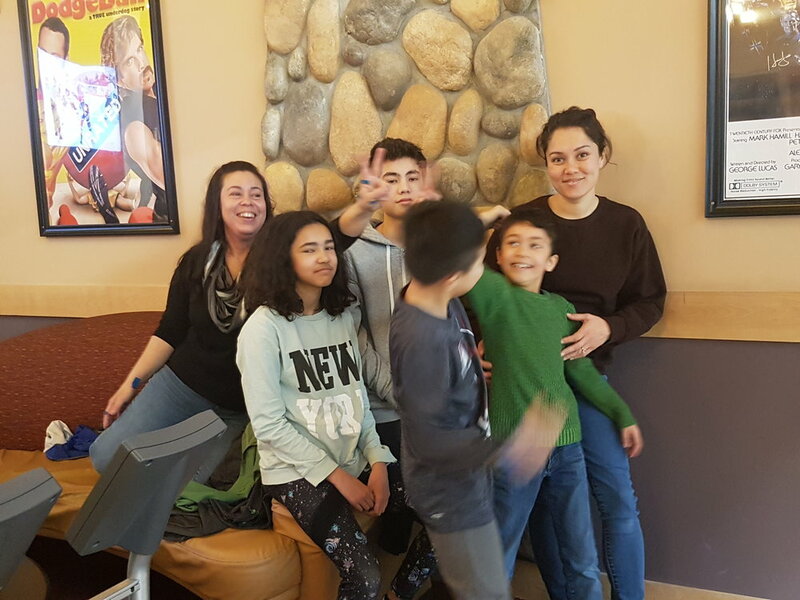 Over 40 participants enjoyed a pizza lunch, then headed over to the lanes to bowl. It was an afternoon filled with smiles and laughs as everyone had an awesome time ! The Star Cinema in Sidney was filled with families and the smell of popcorn on a wet, stormy Sunday. Paddington 2 was the movie of the day and was enjoyed by everyone! Island Kids Cancer Association was pleased to support this fun outing. Thank you to the Star Cinema! On December 10th at Oaklands Community Center, Truffles Catering delivered an amazing Christmas lunch. It was a fun, festive afternoon enjoyed by all!! Nicholas entertained us with his wonderful violin performance, filling the hall with seasonal Christmas melodies. Island Kids Cancer Association is so grateful to have been able to provide families with this special opportunity.